Home › Christy Marie's › What's New! Character Sugar Pieces! We just received one of our orders today and guess what we now have available?! 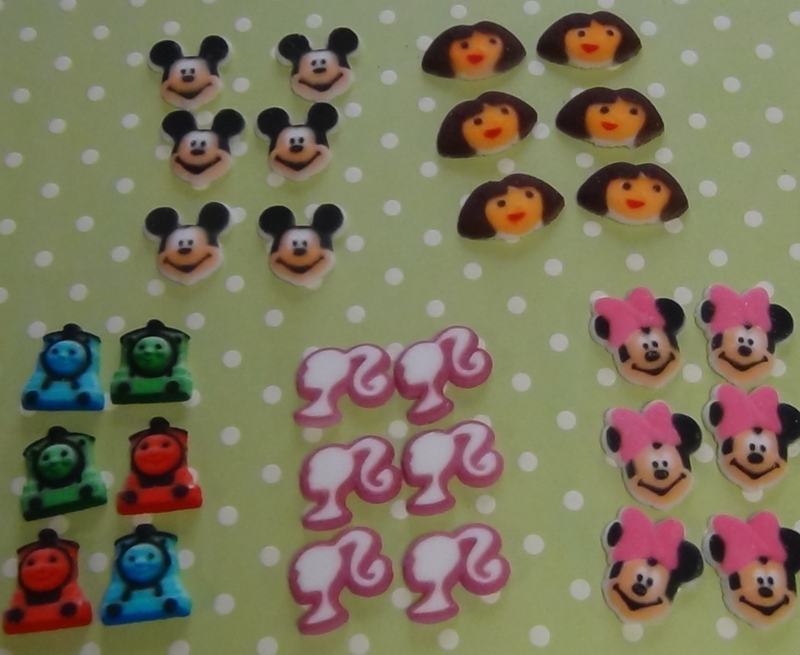 Licensed character sugar pieces! Completely edible, these sugar pieces will sure to be a big hit on cupcakes or even candy! Great to add around a cake as a boarder too! Kids will love these and the best part is- they will match their party theme! 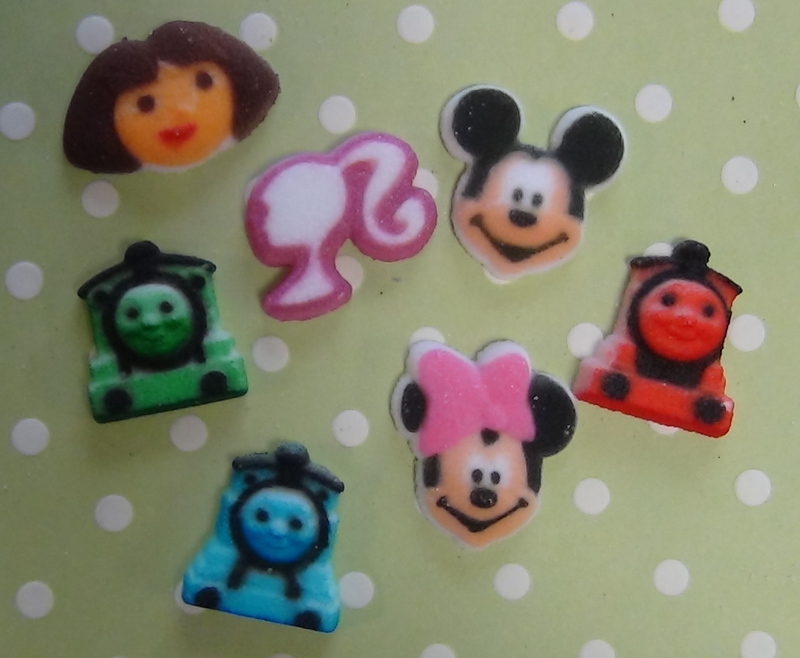 We have Barbie, Dora, Thomas, Mickey and Minnie currently in-stock! Pack of 6 sugar pieces for $2.89.